Outside of all the landscape maintenance services required in the spring to help your commercial property look its best after a long, harsh winter, fall lawn care in Rhode Island is the next busiest season. There is a lot of work to do to get your lawn, trees, shrubs, and other planting areas ready for autumn and winter weather. As the temperature begins to drop, you might see summer grasses that got a little dry and brown begin to “green up” just like they do in the spring. If you want to start a new lawn or replace an old and dying lawn area, fall is one of the best times to get things going. It is also a great time to take care of a grassy area that requires a bit of extra attention with lawn and landscaping maintenance in Rhode Island. When you work with a company that can provide you with full service landscaping year round to help your commercial property look its best, it pays to ask for suggestions regarding the grasses and plants that you choose. Some of the best types of cool season turfgrasses for Rhode Island include bluegrass, ryegrass, fescues, and bentgrasses. Fall is a great time to take care of applying herbicides to take care of broadleaf weeds. Soil testing can be helpful if there are issues with the condition of your lawn. It could be too acidic or alkaline, which can affect the growth of everything from grasses to trees. Autumn is the best season for removing dead grass from your lawn to help with aeration. This dead grass is known as thatch, and it needs to be removed along with any fallen leaves to prevent the grass from being smothered over the winter months. Lawn and landscaping maintenance is significant to the health of your lawn, helping to save you money and invest in the aesthetic appeal of your property when everything starts growing again in the spring. Overseeding can also be done, as necessary, to strengthen the lawn for the next growing season. Your landscape maintenance services crew should take care of this for you and make sure that everything is watered appropriately to give the new seedlings the best possible start. In addition to providing fall lawn care in Rhode Island, your full service landscaping company should also offer additional services that can be used to beautify and maintain your commercial property. 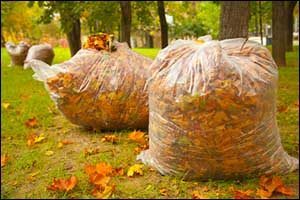 Cleanup services throughout the season and just before snowfall can help to keep leaves, twigs, acorns, pine needles, and other damaging debris from harming your lawn and making your property appear untidy. In late fall, lawn and landscaping maintenance services should also provide tree trimming, pruning, and shrub care to protect your property from damage and reduce seasonal liabilities. When you contact Eastern Landscaping, Inc. for fall landscape services, we can schedule these services before the first frost hits the local area for the best results. Herbicide, pesticide, fertilizer, and any other products that should be put down before the winter season arrives can also be arranged through our full service landscaping company. Autumn is an excellent season for managing and encouraging growth and healthy plants. Don’t overlook the importance of this time of year for taking care of your fall lawn in Rhode Island and the Southeastern Massachusetts area. Whether you hire our team for year-round services or a simple fall cleanup, you can count on Eastern Landscaping to get the job done right. If your commercial property requires even more care, such as overseeding or aeration, our highly trained and experienced technicians can assist you there as well. Sod installation is also available to help your property to look its best and to allow the grass to get a healthy growth while the temperatures are moderate and the rainfall is plentiful. The more natural growth you can get for your lawn, trees, shrubs, and other plants, the better they will be throughout the winter and in the spring. We offer a wide range of services that can be used to help prepare your property for the coming seasons and start making plans for new plantings when the weather begins to warm up again. If you would like to get a NO-COST estimate for our professional full service landscaping, give us a call at 401-766-9035. We can answer any questions that you might have about fall lawn care in Rhode Island and Southeastern Massachusetts, schedule landscape maintenance services, or provide you with a quote for year-round care. Call today and see for yourself why so many businesses in the Greater Providence area trust Eastern Landscaping for all of their landscaping design, maintenance, and installation needs.